Home Uncategorized Muramasa: Blood Drinker now available in paperback! 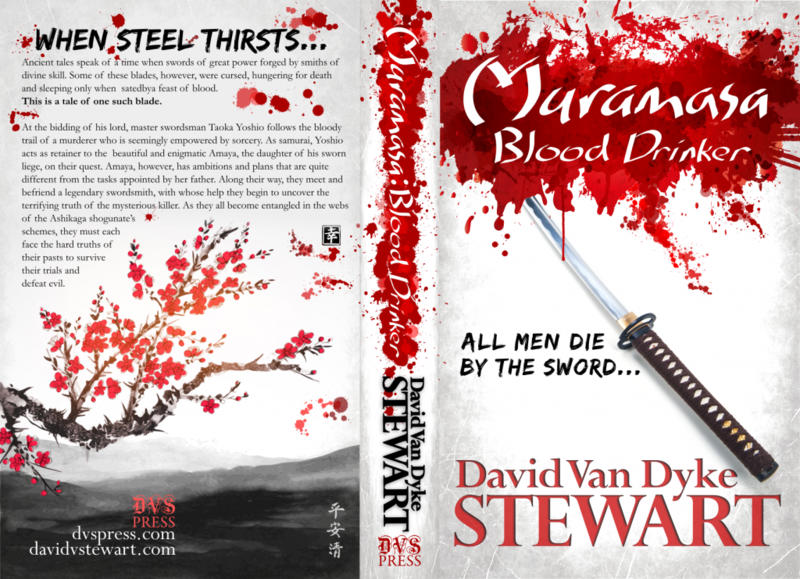 Long overdue, my epic samurai novel, Muramasa: Blood Drinker – a supernatural mystery of feudal Japan, is finally available in paperback. I did the design of the book myself, and I am very pleased with how the final product came out. Now you can get 500 pages of bloody, demon-possessed intrigue and swordplay without the need to read an e-book. I’ve also had people request an audiobook version of it, and that will come in 2017. I would prefer to record the book myself for financial reasons, and unfortunately I have had to travel during the last month during most of my free time, meaning I am away from my studio and my ability to record quality audio. In the meantime, you can listen to my audiobook Garamesh and the Farmer, which I recorded myself to learn the ins-and-outs of the audiobook process and business.